Let’s welcome the kids back to school, and usher in the ‘cooler weather’ with the return of knitting!! Yeah! And just in time, while you check your stash and get your project queue sorted in your head, we are having a book giveaway! It can be frustrating to knit a sweater only to have it look wrong on you because it’s too boxy or the waist hits you in an odd place. 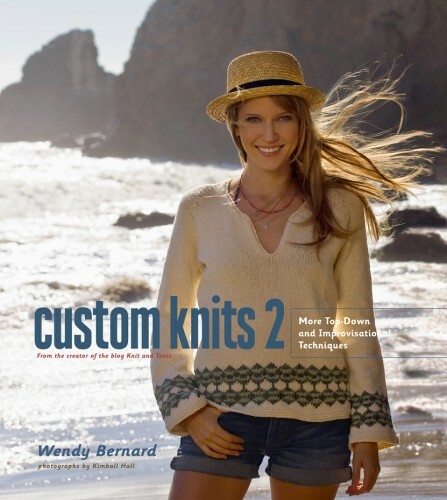 Custom Knits 2 teaches you about custom waist shaping, bust shaping and other changes from a pattern. With these tools you can make the sweater custom fit for you. 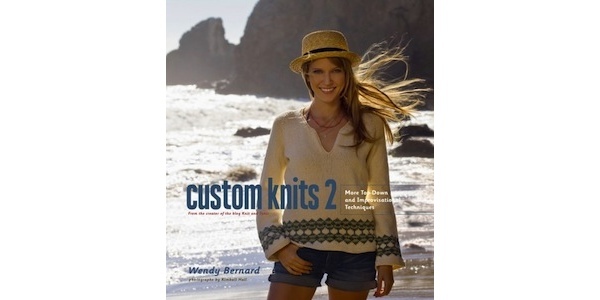 The book even helps you estimate how much yarn you will need for these customizations. This book blends some very technical advice with some lovely patterns. That is a very subtle balance and the book has some real meat in both areas. It is a great addition for any library. If you would like to win a copy of this book leave a comment on this post (make sure to use an email address where we can contact you). You can get and extra entry by liking us on Facebook and leaving a second comment letting us know you did. We will chose and announce a winner next Monday, September 17th. This contest us open to US readers only. ***Disclaimer: STC Craft/Melaine Falick Books gave us a copy of Custom Knits 2 to review and giveaway. We were not instructed what to write or compensated in any other way. 7 years ago by Susi in Books , Giveaways and Contests , Knitting , Needlecraft , Reviews | You can follow any responses to this entry through the RSS feed. You can leave a response, or trackback from your own site. I love Wendy’s knits. I have her first book and they are so wonderful to knit. Would love to have her second one. I’m pretty sure those patterns are above my skill level but it would give me something to work toward. Thanks for the giveaway. I would love to win this book – the patterns look beautiful! I have already “Liked” on FB – do I still get another entry?? I hope so!! Very cool. I have borrowed her first book from the library. Hopefully I will get to do some knitting for myself other than socks soon! Yes, please! This is one of those books where I want to make just about every pattern in it. I need a book like this! I am only able to do the basics currently. Just got the Custom Accessories book. I’d love this one too. I am talking and tired of sweaters that look cropped! I would love a copy! I think I could use the inspiration! And I already follow you on Facebook! I haven’t seen this book in person yet, but I’m sure it is as beautifully and carefully done as Wendy’s first book! Love the Wendy books and would love to win – thanks for the chance.